Andrew Morello, winner of The Apprentice Australia, credits his strong work ethic for his success. Morello’s lifelong exposure to the property industry and business, natural enthusiasm and outstanding sales skills mean he is adept at providing people with the service and outcome they are seeking. 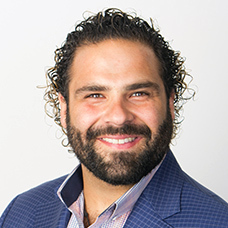 Morello grew up with an interest in real estate and business, a passion he pursued through completing his real estate license and moving into the profession, with outstanding results. Morello is now Head of Business Development at Yellow Brick Road, and is working closely with Executive Chairman Mark Bouris to further grow Yellow Brick Road’s expanding branch network. Whether it’s the Morello story or his sales and business content, you can guarantee he will bring nothing less than 100%. A keynote, training session, MC, auctioneer, Morello knows what it takes to get the job done and make your event memorable. He is known for his dynamic approach and absolute passion for relationships, business, life and everything it encompasses.